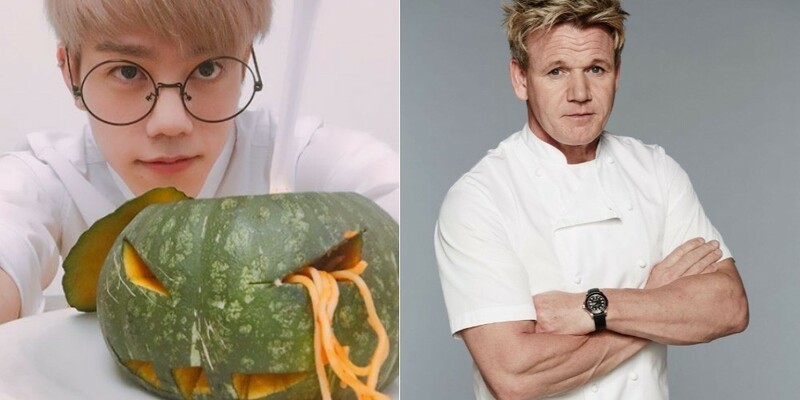 On January 14, a netizen shared photos of a Halloween themed pumpkin pasta on Twitter and asked the famous chef for his thoughts. ?????????? ????????????? ???? ?????? ???? ?? ?????? ??? ??? ???? ?????????? ?? ???? ???? ???? ????? ?b #????? #???? #??? #?? #???? To the idol star's cute dish, Gordon Ramsay had a brutally honest thought�to share. He responded via Twitter, "I've been trying to ignore it since last October."